Share race day with your loved ones using Komen Stories. Not everyone can be here to cheer you on, but let them know you feel their support. Use your iPad's forward-facing camera to record a personal message and share it with your support team. Share your story, with Komen Stories. Tell us why you race! 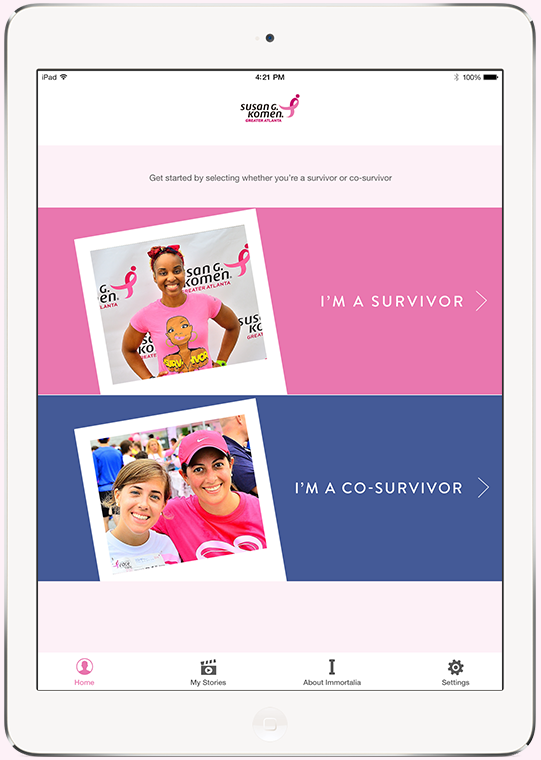 Share your story with the new Komen Atlanta iPad App.